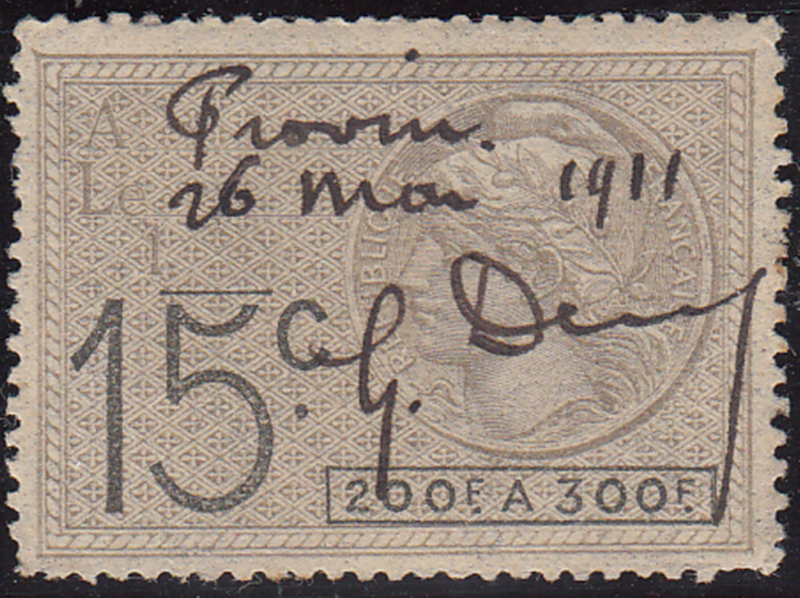 This thematic/topical collection has taken most of my stampy time in recent weeks. 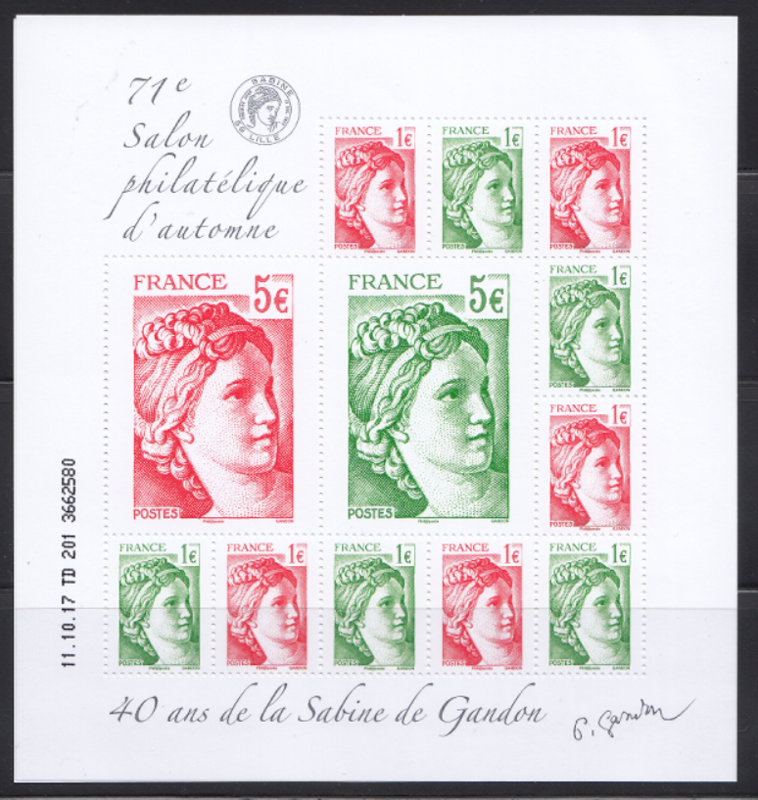 I've dabbled with partial collections of the various runs of definitive French stamps ... but the new Marianne issue sort of pulled the theme into focus for me. 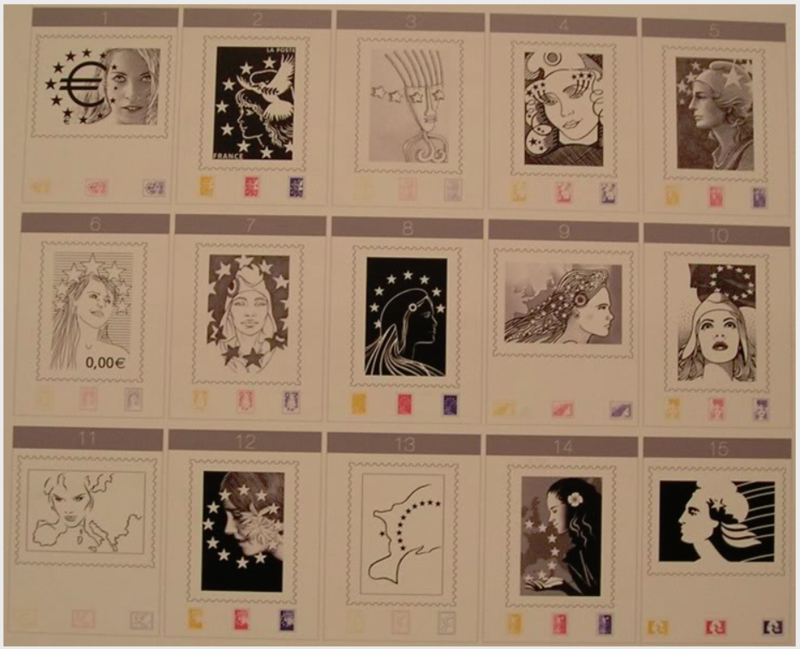 And like any good stamp theme, once you start down the rabbit hole ... you never know where it's going to end or end up. 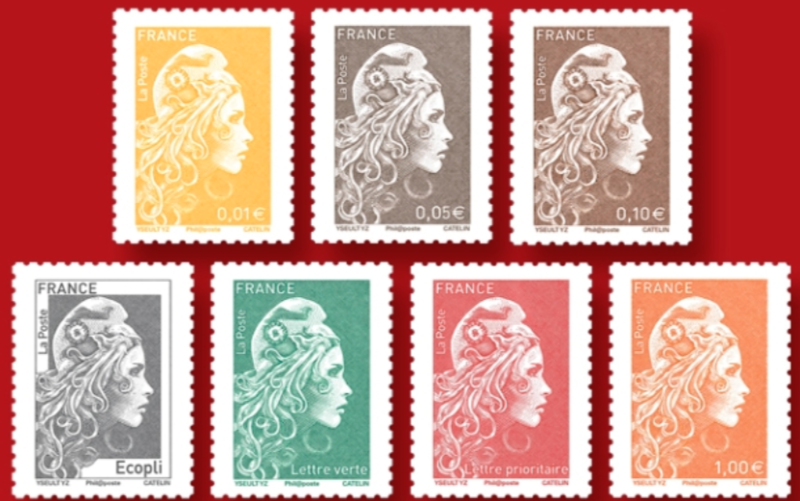 So, to start, here's the new set of 2018 Marianne stamps issued in July. 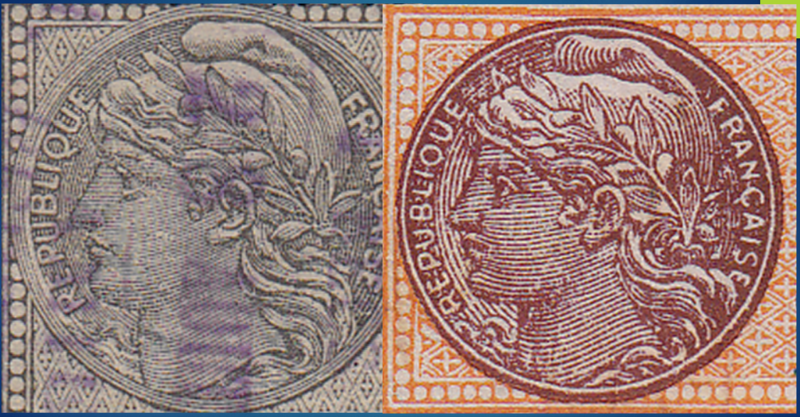 I purchased some from the French Post Office 'La Posta', which has expensive postage but fast service, and some from the online new issue service WOPA which has cheaper postage ... but I'm still waiting for parts of my order. but all good stories should start at the beginning .. and as you all know, in the stamp world, the beginning is often kinda hard to find. 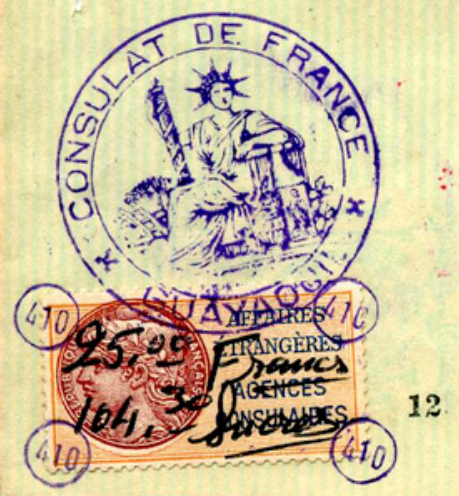 So what WAS the very first Marianne stamp? 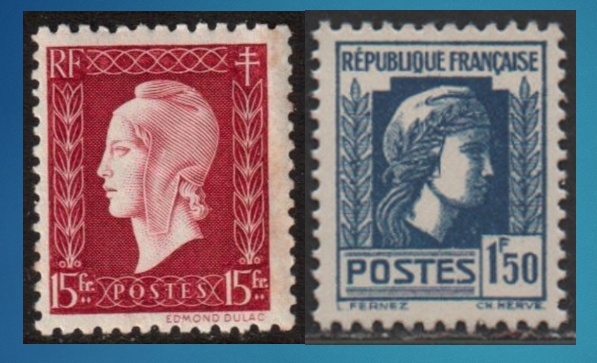 If you peruse this site, you'll see that Marianne first made her appearance on French definitive stamps in the 1940's with two different sets of stamps. 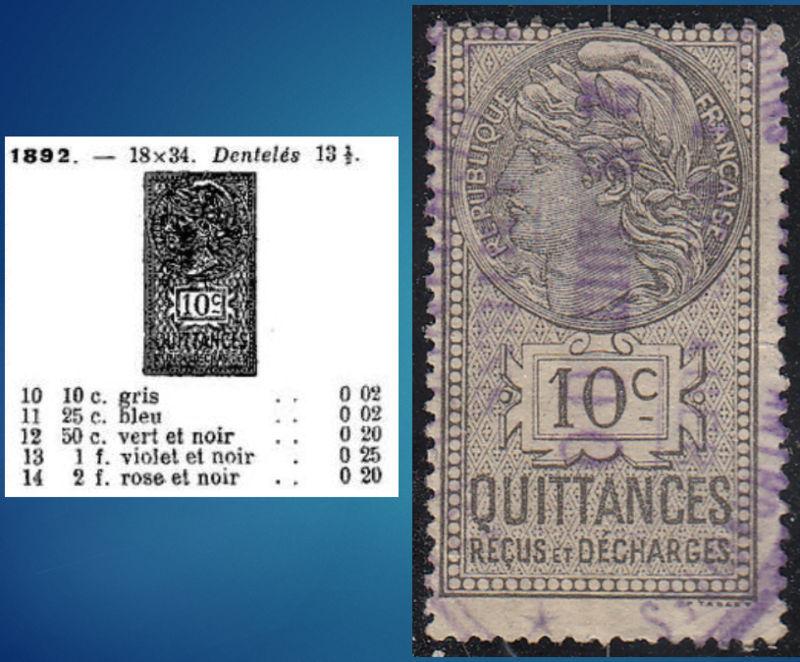 If you read through the site, you'll see that it's a bit confusing ... here are the images of the two different stamps, one designed by Edmond Dulac and the other by Louis Fernez. 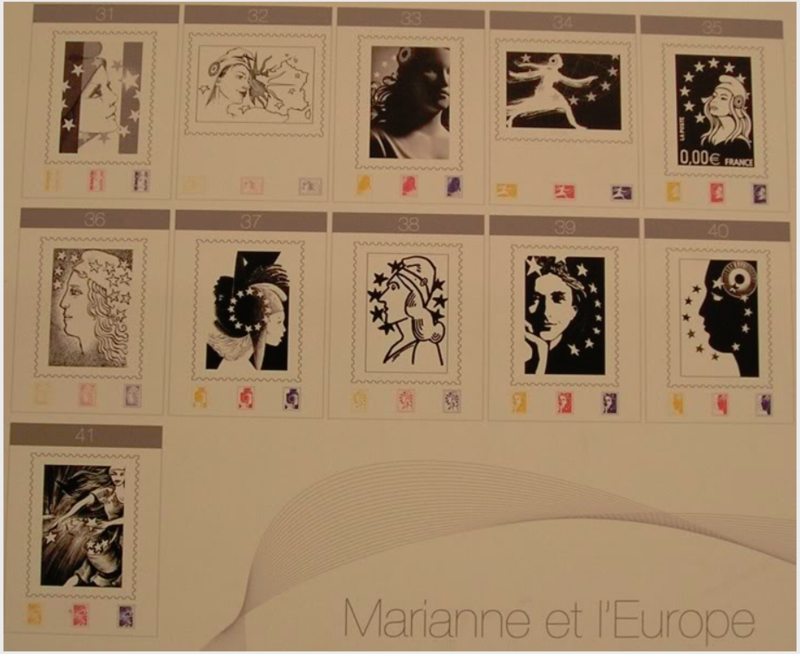 ah ... but was that truly the first appearance of Marianne on French stamps? Remember when I was talking about the rabbit holes? 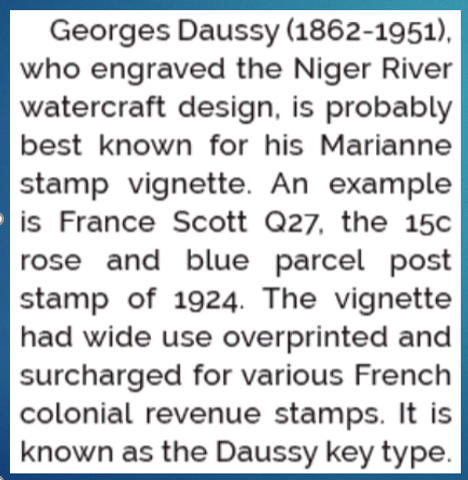 Well ... this particular paragraph, written by Kathleen Wunderly describing the stamps of Niger, caught my eye while reading the latest Linn's. there were OTHER, OLDER Marianne's?? 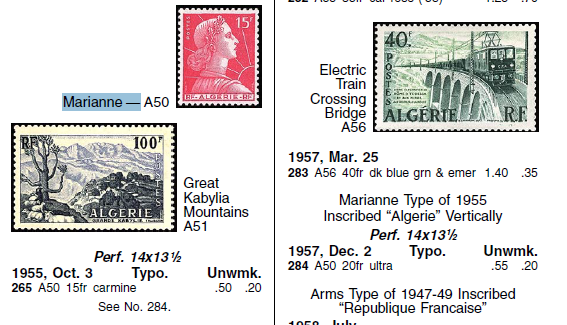 so I went on a hunt for that Q27 ... the parcel post stamp that was known as the 'Daussy Key Type'. My old Scott's general catalog does not list parcel post stamps ... none on eBay, or the other auction sites that I frequent ... I found one on stamps2go but there was no picture ... bought it anyway. Finally in frustration I went and purchased the 2019 Scott's Volume 2B: France. 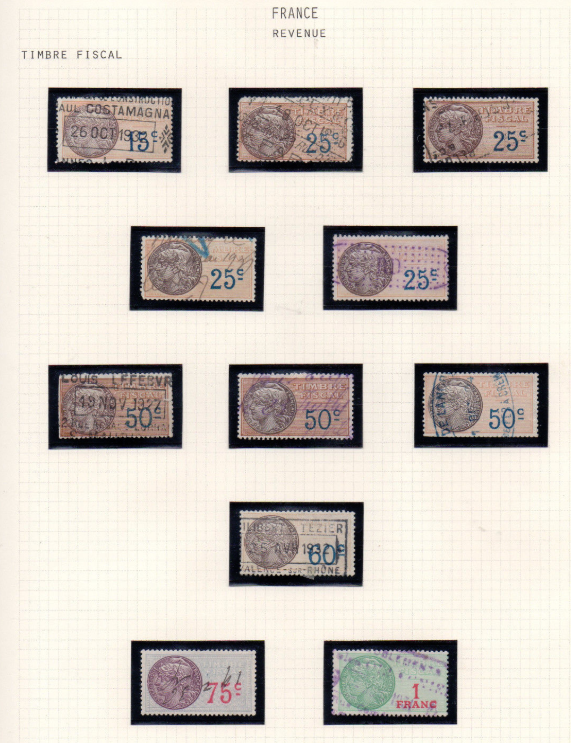 here's an image from one of those pages ... and now I have a whole new set of stamps to look for and collect! 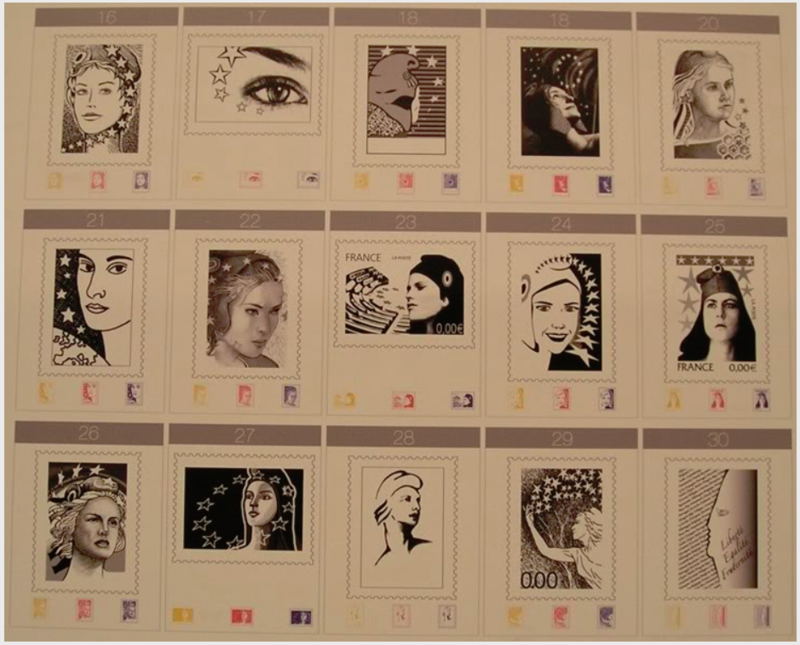 Not sure if you are interested in these, but here are a couple more sets of stamps with Marianne on them. 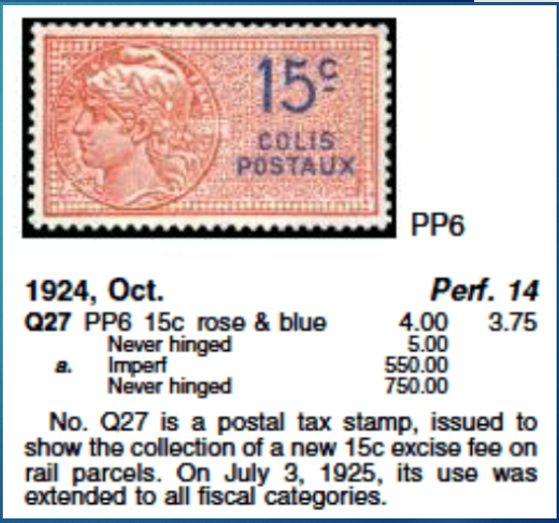 so I went on a hunt for that Q27 ... the parcel post stamp that was known as the 'Daussy Key Type'. My old Scott's general catalog foes not list parcel post stamps ... none on eBay, or the other auction sites that I frequent ... 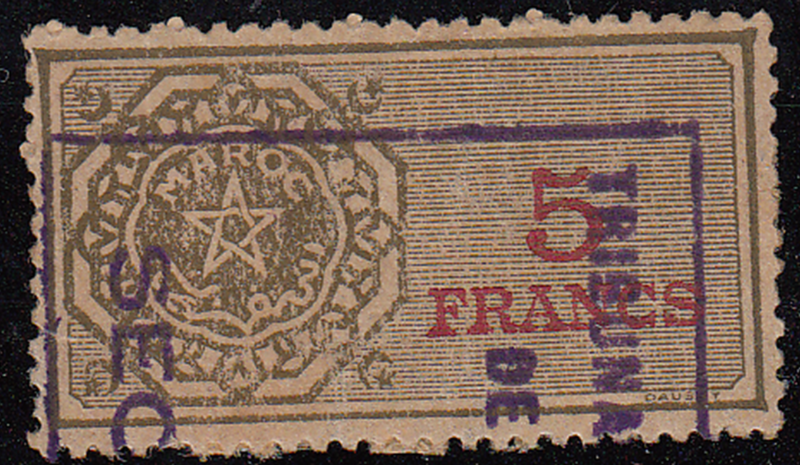 I found one on stamps2go but there was no picture ... bought it anyway. Finally in frustration I went and purchased the 2019 Scott's Volume 2B: France. How often is the Ecatalolue updated? 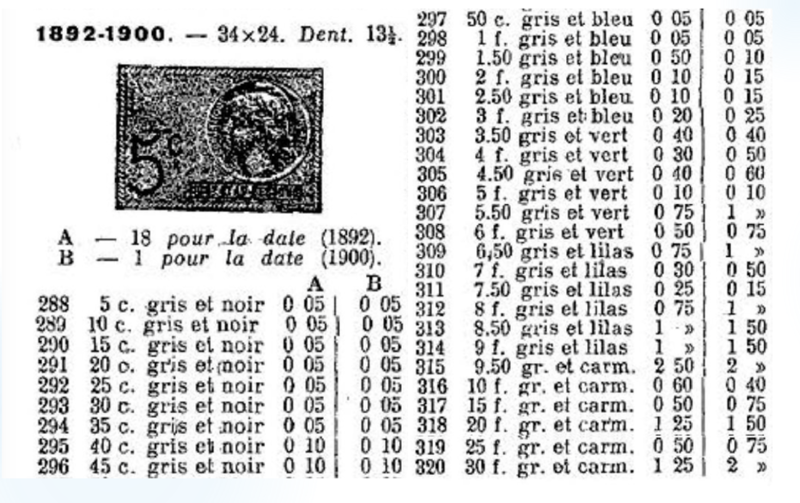 I just purchased several pages of what appear to be the key type Mariannes ... and have no idea how to sort and evaluate them ... does Gibbons list these or another English language catalogue? Anybody know? an older thread from another forum ... lots of interesting information! 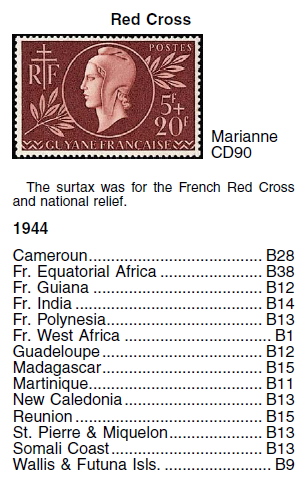 when we left off in the Marianne discussion, I was well on my way down the trail of investigating the French tax stamps ... turns out that, like most revenue stamps, there isn't a whole lot of easily accessible information or references for this branch of philately. 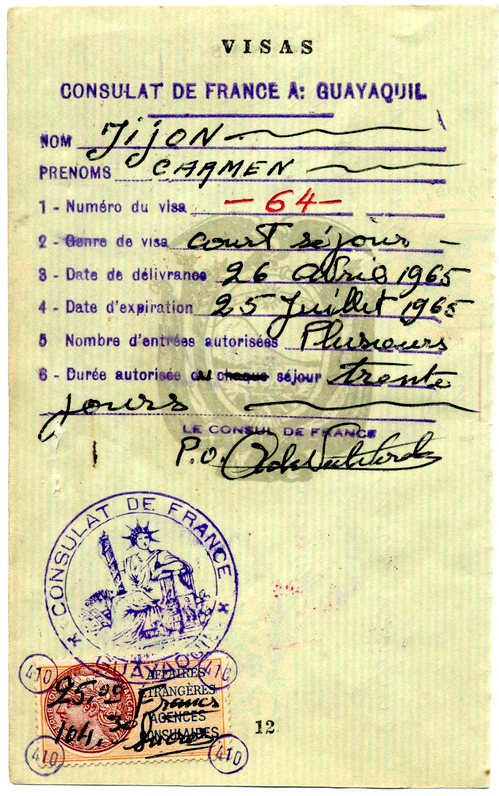 In fact I couldn't find any biographical information on Georges Daussy at all. 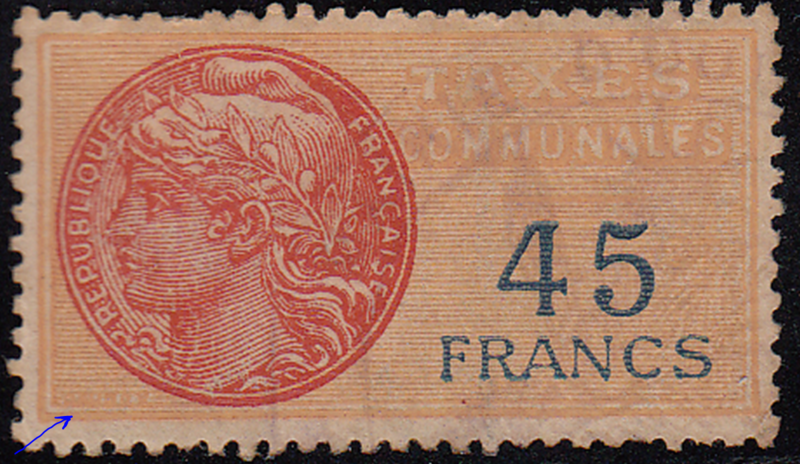 But I did find one reference as to France's tax stamps ... A. Forbin's 1915 catalog is online, and from that I was able to identify a few of the stamps that I have acquired. 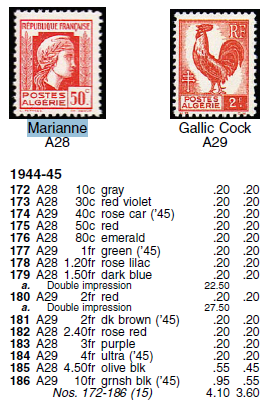 Remember, I have interest in these stamps because they depict an engraved Marianne and so belong in my Marianne collection. 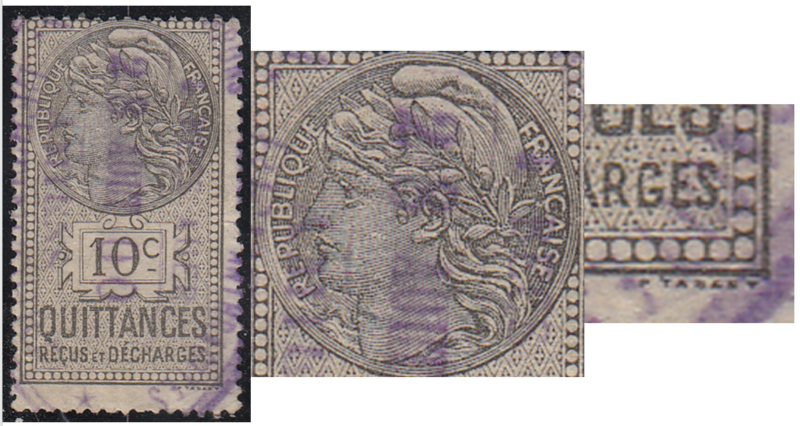 So anyway here are a couple to start with ... these are 1892/1900 depending on the numeral date ... if it's a 18___ then it was issued in 1892 and if it's a 1____ then it was issued in 1900. Forbin calls them type A or B in catalog. 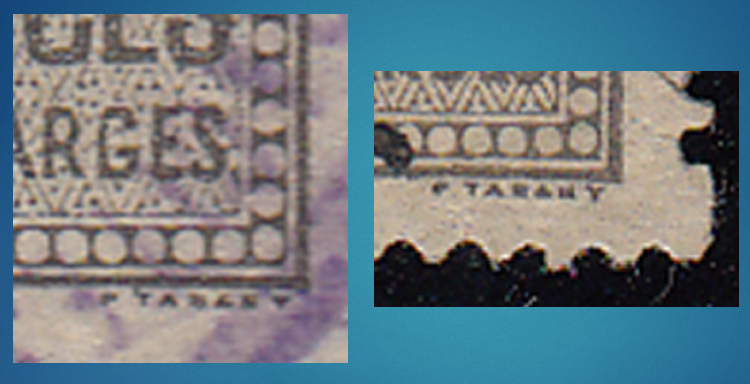 here are a couple of different types a couple with Duassy's Marianne image ... there are variations on the background & location of Daussy's signature on the stamp. 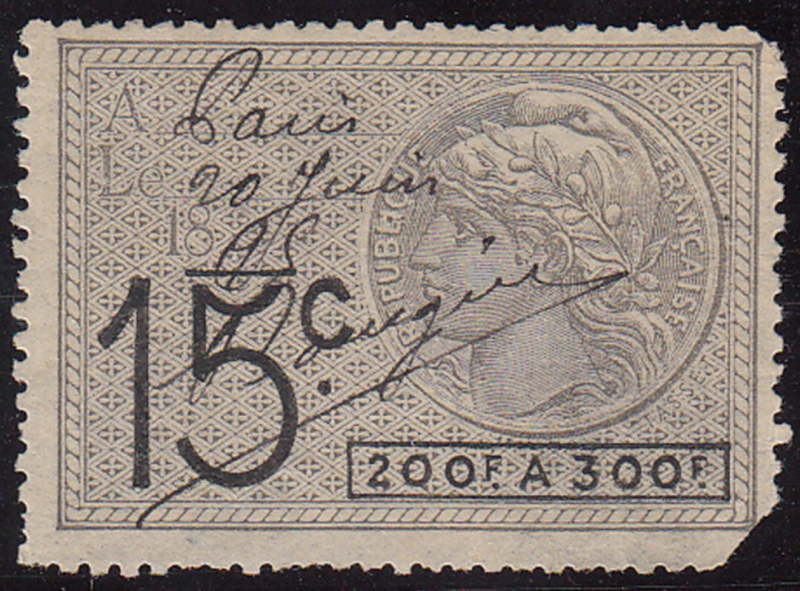 Since these are later than 1915, Forbin does not have them. 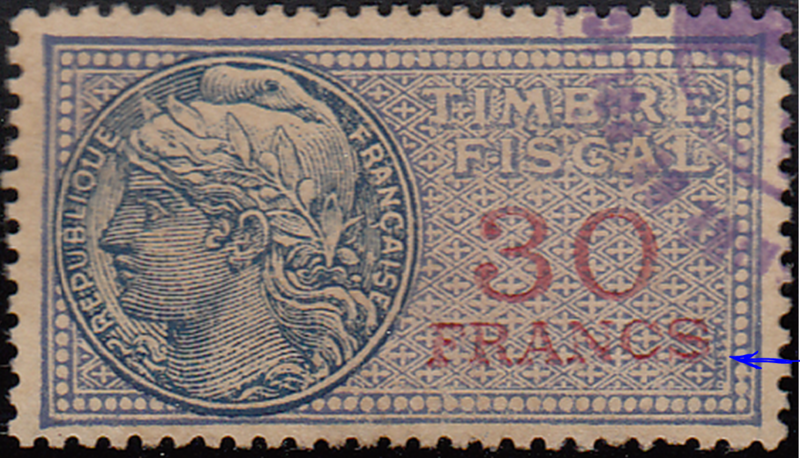 I have ordered a Y&T France tax catalog, and hopefully will be able to identity them from that.